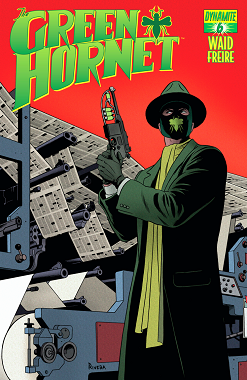 The new Green Hornet series, written by Mark Waid and pencilled by Daniel Indro, debuted this week. greenmask asked about the Green Hornet comics coming out this year. So here's four pages from Kevin Smith's GREEN HORNET #1. I'm a big fan of the Green Hornet concept. He's blood-related to the Lone Ranger, and this is never, ever mentioned. He's a Batman who has fun and levity, his vigilante alter ego is presented as a villain. He punks out the real baddies by pretending to be badder than them, and wins the day for good! He has a good relationship with his valet. He dresses really well. The Green Hornet mythos has a really poor track record on dealing with race, when by "race" you mean "people who aren't white americans". Kato, the extremely capable chauffeur/valet/co-member of the team that makes "the Green Hornet" has been Chinese, Filipino and Japanese. That's insensible, and no good. The best-known Kato, and the best-known iteration of the Green Hornet set-up, is the 1967 version; Bruce Lee's first American role. He aces it, and it's a shame they made him tone down his physical capabilities for the role. In the Green Hornet comics of the eighties, of which there were a few, this version of Kato is known as "Hayashi Kato" (OH WOW GUYS THAT'S REAL CHINESE NICE WORK ON ALLEVIATING THE PROPERTY'S HISTORY OF CASUAL RACISM). Sometimes. Sometimes that's his son, I think. So as far as I can make out, and according to wikipedia, the "Kato" of the comic I am about to show you is supposed to be the Bruce Lee version. It bloody isn't, but it's supposed to be. That is one of the many things that makes this the worst comic I own. So if anyone has issue 2/2 of this book, howsabout you enlighten us all as to what happens? We're dying to know. 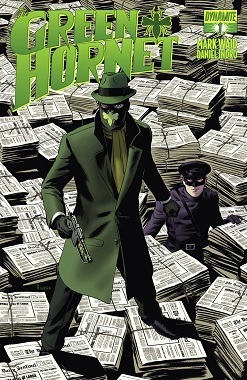 How does this compare to the Green Hornet books out this year?